Its great to be back at the Trad Climbing Meeting in the Valle Orco in northern Italy. It’s my second time here and everything is just as beautiful as it was on my first visit in 2010. The Trad Meeting is organized by the Club Alpino Accademico and attracts people from all over the world to a week of climbing cracks in the day and eating good Italian food in the evening. 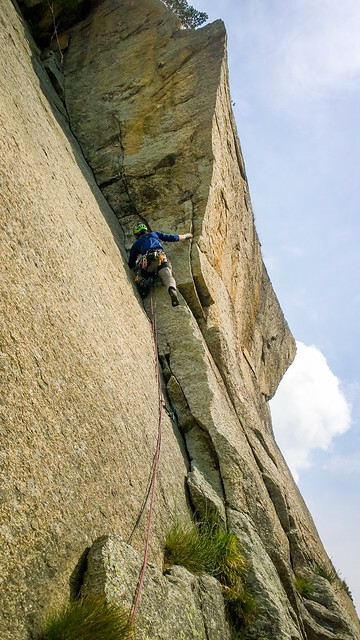 On Monday we went climbing on a formation called Torre di Aimonin located near the small city of Noasca. We started by climbed the excellent Via del Diedro (TD-, 140m, 6a) followed by the great classic Pesche d’Avrile (170m, 5c) – both routes well protected with trad gear. Tuesday we climbed on the Sergant. Classic jam cracks like Incastromanina (6a), Locatelli (6a), Elisir d’incastro (6b+), Sir Biss (6c) where climbed. 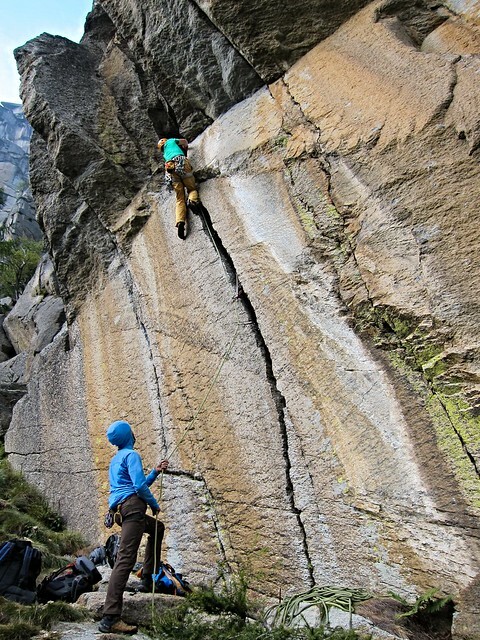 This is really an amazing place for granite crack climbing! On wedensday we had a bit of rain so Sport Climbing in the sheltered crack Bosco was on the agenda. More to follow..